Michelle and Johnny met through mutual friends nearly 10 years ago. When it was time to propose, Johnny took Michelle to “Lyric in the Park” – Chicago’s Lyric Opera House’s annual performance. At intermission, Johnny surprised Michelle by getting down on one knee with a dozen of their friends popping out to offer their “congratulations!” The venue even played Wagner’s “Wedding March” at the end of intermission. It was a dream-come true. But it was the Chicago couple’s love for wine and everything Italian that brought them to their dream wedding destination. 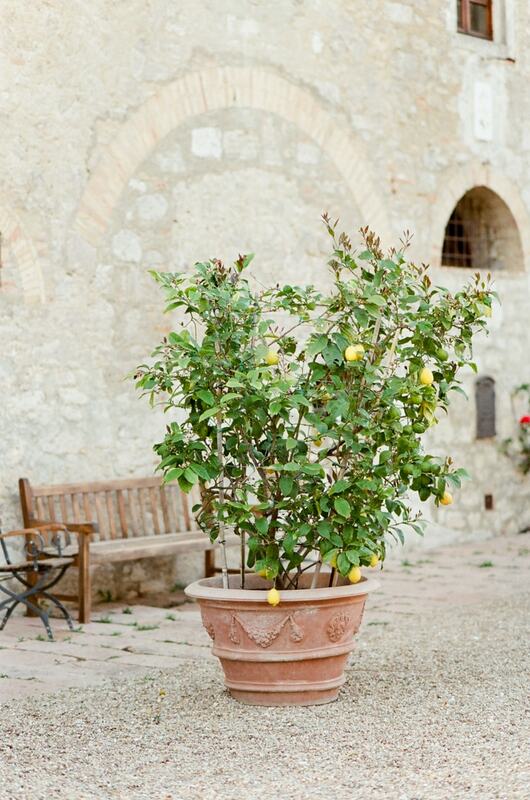 Their intimate gathering of guests joined them at Borgo Pignano in Tuscany, Italy. Touted as “The Tuscan Haven,” this venue boasts old world charm and expansive views you can only get in the Italian countryside. The big day was inspired by “Midsummer Night’s Dream,” and included a color palette of lilac, green, artichoke brown, and ivory to play off the rustic colors of the location. For her wedding day look, Michelle chose a jaw-dropping silver-encrusted sheath gown with an illusion neckline and sleeves. But once she turned around, a daring open back was revealed. She wore a long matching veil for the ceremony and carried a bouquet of lilac-colored and white roses. To walk down the aisle, she chose a pair of sparkling silver peep-toe heels. Johnny wore a dark-gray three-piece suit, complete with pocket watch and brown shoes. His green floral-patterned tie matched the flowers in his boutonniere and he accessorized with cufflinks. Michelle could oversee all the activity of the wedding set-up from her bridal suite. The anticipation was one of her favorite moments from the day. The two were wed on the lawn overlooking the Tuscan landscape. A string quartet filled the ceremony with sound as the two promised forever. Guests were wined and dined with an elegant reception that mirrored the local culture. 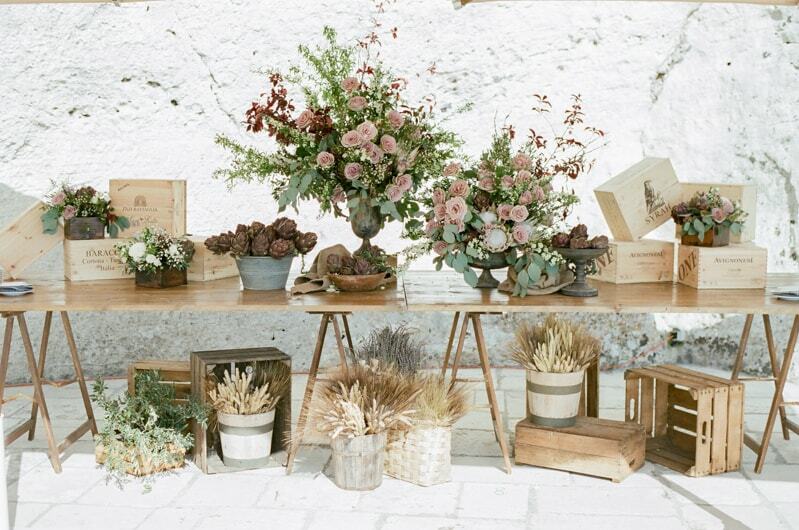 Tables were filled with fresh décor such as delicate flowers, lavender, and artichokes. 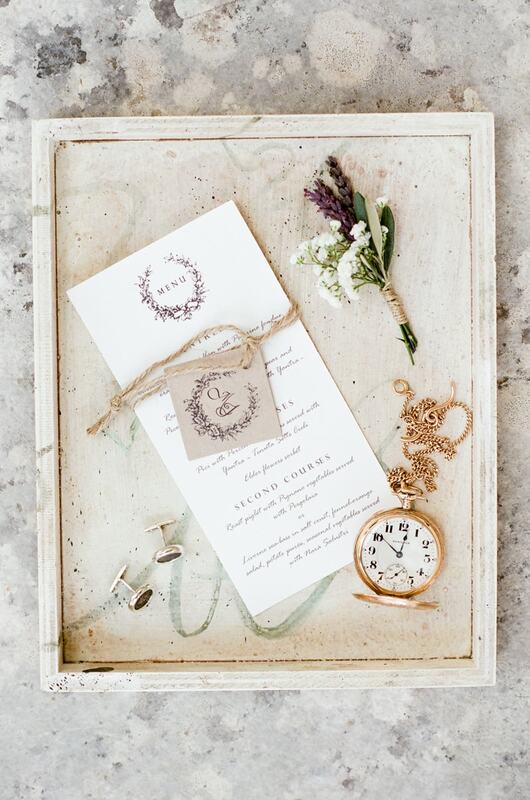 Place settings included a personalized menu card, lavender sprig, white china, and silver flatware. The couple enjoyed their first dance as husband and wife in a candlelit room of the palatial Borgo. Their love of Italy could only be eclipsed by the love they have for each other and that’s what made their wedding a truly fashionable, international, heartfelt affair.